Code 7 Blog - Personas - why use them? 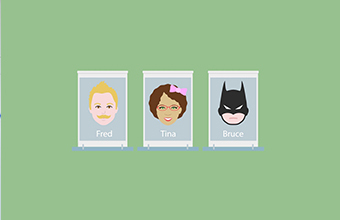 Personas - why use them? A persona is a fictional character created to represent your target demographic. They bring web users to life using actual facts about your site visitors. You want your user to get exactly what they're looking for when visiting your website. The use of a persona can help with this by giving a real sense of the people your content is for. When creating a persona it is important to always have your user in mind. Personas are defined by goals. What do they come to your website for? What motivates them? What information do they need? Your main aim is to appeal to your target market, making your website easy and practical for them to use. Once you have a persona, you can think of them when making design decisions. "My nephew is four next week and I'm looking for a cool toy to send him. I need quick delivery and gift wrapping, and I have a budget of £20"
The scenario is useful as you are able to assess Ben's goals and make it easier for him to complete them. Here is an example persona that we created for a glass design company that works with architects and interior designers. 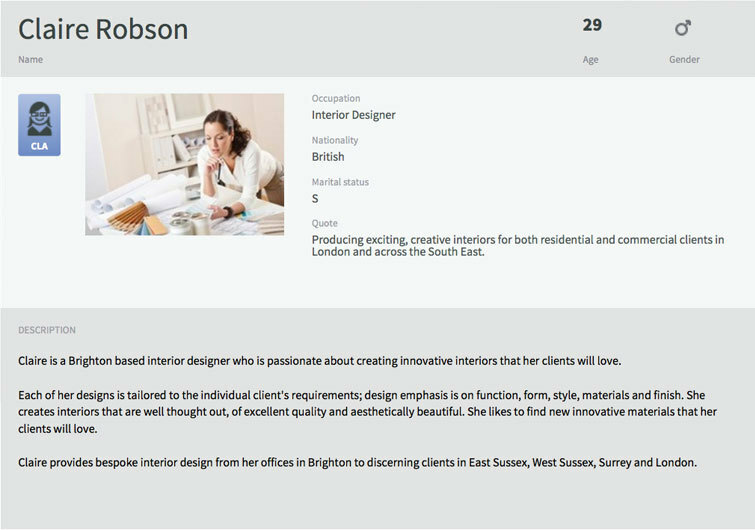 Considering the company's target market, we came up with Claire, a single interior designer. Using this information we can track her journey through the website to ensure she is receiving the best possible user experience. Essentially personas are a way of humanising data. In a world full of nameless and faceless data, it's easy to get lost and forget the human viewing the page. Personas are a way of breathing life into your data, and can be very useful in improving the usability of a website.